Established since 1997 and servicing clients in Rockhampton, Central and Northern Qld we believe that business finance should be easily accessible for all businesses. But often it is difficult for a business owner to find the right business finance solution. This is where we can help. We will take the time to discuss you business requirements and goals and then provide options. The advantage of this is that we do not just look at one funder but what is a suitable loan for your requirements from our panel of financiers. Short term unsecured business finance (funding up to $250,000 usually from terms of as little as 6 months to 12 months). another short term opportunity arises that is beneficial for your business. Obtaining a short-term business loan for the above is usually a better option to taking a loan term loan where usually additional security is required and the term does not match your finance requirements. Long term Funding – We can facilitate and locate finance from Major Banks and Boutique Financiers for any long term funding requirement. We have access to specialists that can arrange funding for the purchase or expansion of property and buildings or the refinancing of long term debt. We also have access to a range of other business finance options through our Business Finance Rockhampton team that includes Trade Finance and Progressive Payment Facilities, Debtor Finance Facilities, and Insurance Premium Funding. 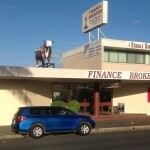 If you are looking for a company that has the experience and expertise across a broad range of businesses and industries, and gives you that ability to deal with a person that understands the importance of building relationships make sure you contact us to see how on of our Business Finance Rockhampton team we can help you.